Let nüvi 2555LMT lead the way with its big 5" (12.7 cm) touchscreen display and powerful navigation features. It includes FREE lifetime traffic¹ and map² updates, advanced lane guidance and more. With FREE lifetime map updates, you always have the most up-to-date maps, points of interest and navigation information available at your fingertips. Map updates are available for download up to 4 times a year with no subscription or update fees and no expiration dates. Point-to-point navigation is just the beginning. 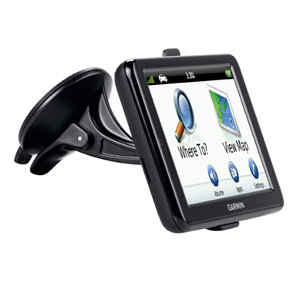 nüvi 2555LMT features a microSD™ card slot so you can store and use detailed cityXplorer™ maps or download custom voices and vehicles for free from the Garmin Garage™. Dual-orientation functionality lets you hold the nüvi vertically or horizontally for added convenience driving or walking. The “Where Am I?” emergency locator provides your exact latitude and longitude coordinates, the nearest address and intersection, and the closest hospitals, police stations and more. And Enhanced Exit Services tells you what services you’re approaching on the highway. 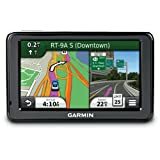 ¹FREE lifetime traffic updates may not be transferred to another person or another Garmin product. Lifetime traffic extends for the useful life of your Garmin traffic receiver (as long as you own a compatible Garmin GPS) or as long as Garmin receives traffic data from its traffic supplier, whichever is shorter. A traffic receiver’s “useful life” means the period during which the receiver (a) has the required technical capabilities to utilize current traffic data service and (b) is capable of operating as intended without major repairs. Traffic content not available for all areas. See traffic coverage areas. ²If you purchase a nüMaps Lifetime subscription (sold separately or bundled together with certain GPS models), you will receive up to 4 map data updates per year, when and as such updates are made available on Garmin’s website, for 1 compatible Garmin product until your product’s useful life expires or Garmin no longer receives map data from its third party supplier, whichever is shorter. A product’s “useful life” means the period during which the product (a) has sufficient memory capacity and other required technical capabilities to utilize current map data and (b) is capable of operating as intended without major repairs. A product will be deemed to be out of service and its useful life to be ended if no updates have been downloaded for such product for a period of 24 months or more. Unless otherwise stated, the updates you receive under the subscription will be updates to the same geographic map data originally included with your Garmin product when originally purchased. 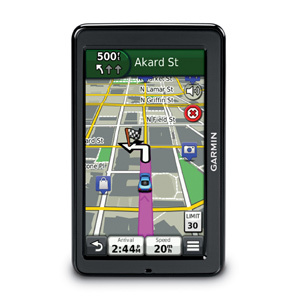 In some instances, your Garmin product might not have sufficient memory remaining for you to load an update to the map data, in which case you will need to either (a) select reduced map data coverage for your updates, or (b) purchase separately a microSD™/SD™ card (if and as applicable to your Garmin product) and load all or a portion of the map data coverage for your updates to the card and insert the card into the microSD/SD card slot contained in your Garmin product. If neither of the measures in (a) or (b) can be used to address your product’s lack of sufficient remaining memory, then Garmin may conclude that the “useful life” of your product has expired. Garmin may terminate your nüMaps Lifetime subscription at any time if you violate any of the terms of this agreement or your subscription. 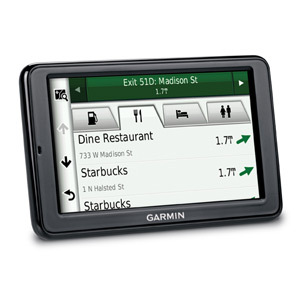 Your nüMaps Lifetime subscription may not be transferred to another Garmin product.